We build custom-tailored learning trips to suit your group's needs. The Telunas Center offers an unforgettable learning experience. 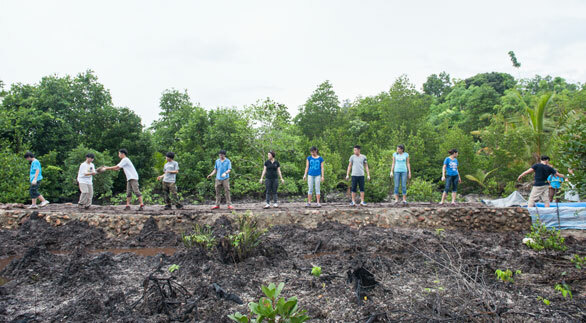 Bring your group to our natural classroom and allow us to facilitate your needs. We believe that students’ learning process goes beyond knowing what is in their text books. It is important for the students to experience their lessons, while at the same time have a bonding time with their classmates through games and adventurous activities. We have a combined team of certified western and local staff, as well as experienced educators available to build a custom trip for your groups. Trust your group in the hands of certified trainers and experience the warmth of our local staff. Our natural learning environment, Telunas Beach Resort, is located just 2.5 hours south of Singapore via international ferry and our private boats. It’s hard to believe that such a stunning natural classroom is so accessible. Give your students an outdoor learning adventure they will never forget! Telunas Center is hosted by Telunas Beach Resort, a private resort located in the Karimun region of Riau Islands, Indonesia. The resort has been acknowledged as the winner of Trip Advisor's Travellers' Choice for five years in a row from 2012-2016. 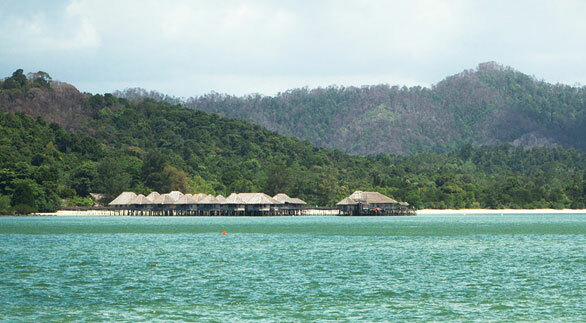 Check out our location page or visit Telunas Resorts site for more information. Our on-site security monitors the facility throughout the night and our activities are assessed using a Risk Management Matrix. Regular First Aid training is held for all guest services staff. Groups are briefed on potential safety concerns. For additional peace of mind, we have an Internal Personal Protection Policy for interaction with minors.